October 11, 2018 By David A. An NFC East battle on Thursday Night Football kicks off Week 6 in the NFL when the Philadelphia Eagles visit the New York Giants. The Eagles have struggled to live up to their title as reigning Super Bowl champions. Philadelphia has lost two straight for the first time in two seasons. 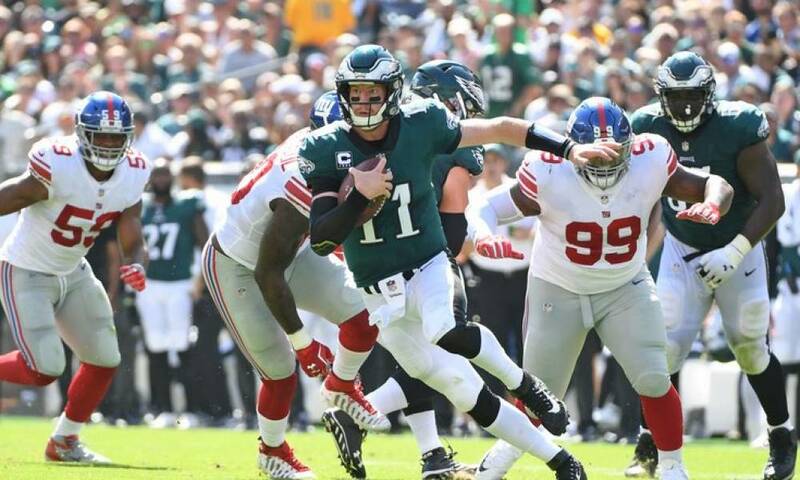 After losing 23-21 to Minnesota last Sunday Carson Wentz the Eagles starting quarterback said having a short week was the best thing the team could have to bounce back from its problems. A quick turnaround might also be good for the Giants, who are reeling from off field drama thanks to wide out Odell Beckham Jr. after New York lost 33-31 to Carolina on a last second 63-yard field goal. Want $250 to bet on Thursday Night Football? 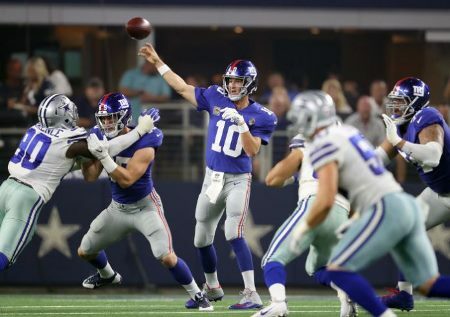 Giants coach Pat Shurmur told reporters he addressed the criticisms by Beckham of quarterback Eli Manning and the play-calling on the offense and added things were taken care of in the locker room and it is over with. 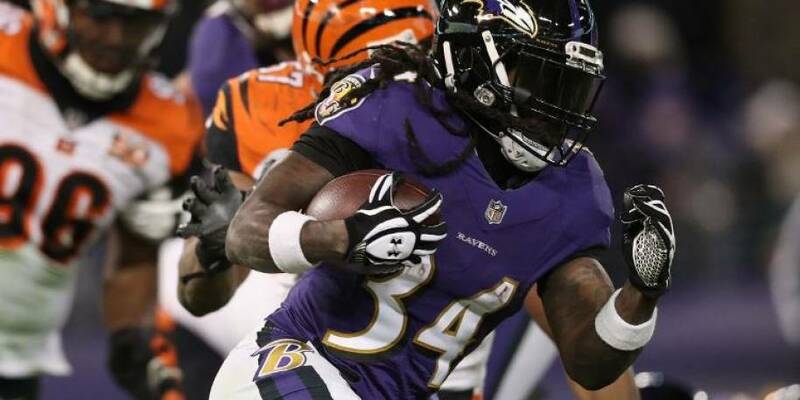 The Eagles offense, which has not scored more than 23 points in any game this season, was given a big blow on Monday when Jay Ajayi the starting running back was lost for the remainder of the season with a torn ACL. Several trade reports have surfaced for a replacement, but in the meantime the Eagles will use Corey Clement and Wendell Smallwood against a Giants defense that is No. 27 against the run. Wentz will use the passing game with targets Zach Ertz, Alshon Jeffery, and Nelson Agholor to offset the lack of a strong running attack. On defense, the Eagles are No. 2 in the NFL against the rush allowing just 66.4 yards a game. Giants star receiver Beckham enjoyed his best game of the season last Sunday catching a touchdown pass amongst his eight receptions and gaining 131 yards. He threw a touchdown pass of 57 yards as well to Saquon Barkley the Giants rookie running back. Manning passed for 326 yards, which is a high for the season, last week at Carolina and last December passed for 434 yards against the Eagles in a 34-29 loss. Defensively, Giants linebacker Olivier Vernon may play for the first time this season on a defense that has registered just 6.0 sacks, which is last in the NFL. Neither team is playing well, but the over/under here is 44 and betting the OVER is the way to go.